This is a tutorial and visqueen plastic guide for those looking to insulate their crawl spaces with poly sheeting. If you already know what you are looking for and are ready to buy, click our 'to webstore' button above or the links below to head to the shop. 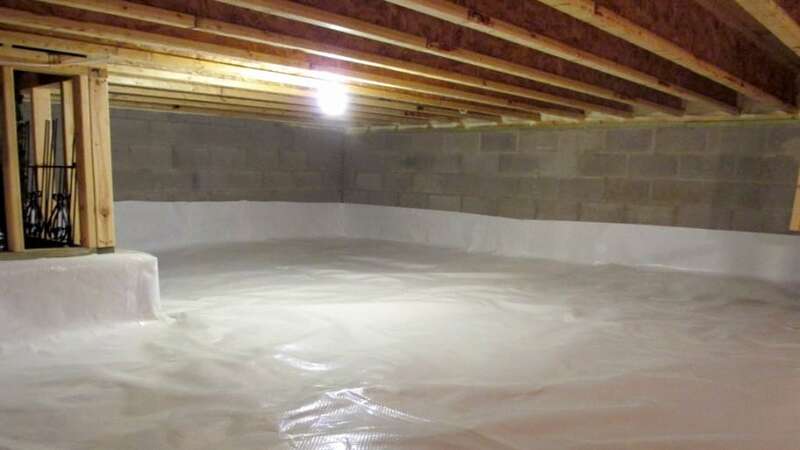 Crawl space encapsulation is the process of installing a vapor barrier in a crawl space. Vapor barriers prevent the penetration or movement of moisture from one area to another. acting as a physical shield that repels moisture and prevents it from entering your home. Traditionally, a plastic vapor barrier covered by a concrete has been the method of choice to seal off a crawl space. However, modern improvements have led to the development of a crawl space encapsulation system where concrete is not required. This is desirable in many cases - a rental home, a handy homeowner who is comfortable with DIY projects but not with concrete, or a small area where concrete seems excessive. Full concrete systems and plastic-only systems each have their pros and cons; let's take a look at each to figure out which is best for your situation. In this method, a visqueen plastic vapor barrier seal (6 mil in thickness) is installed first. Then, concrete is pumped into the area to cover it. The resulting floor is usually 2” to 3” thick with a rough “float” finish because there is no need for a smooth finish floor in a crawl space. The main benefit to a concrete surface in a crawl space is a rigid, durable floor, especially useful if the homeowner will be in and out of the crawl space often or storing heavy objects that might tear a plastic barrier. Crawl space liners or encapsulation systems are a modern solution. Heavy duty plastic visqueen (10 mil in thickness) is laid directly on top of the entire dirt or gravel floor surface. This is usually white or clear. Some liner systems will extend this same vapor barrier to the top of the crawl space wall; this choice is up to the homeowner. The obvious benefit of plastic-only vapor barrier systems is the greatly reduced cost and ease of installation for very nearly the same benefits. What Type of Visqueen Plastic? If you are using the concrete method, you can use clear 6 mil or something even thinner, depending on the moisture level of your crawl space. If you are using the encapsulation plastic method, we recommend at least 6 mil for certain, maybe even 10 mil, again depending on the moisture level of your space. You can use the following tutorial for either method. 1. Lay down the poly sheeting. Cover the entire crawl space floor with your 6 or 10 mil plastic sheeting. 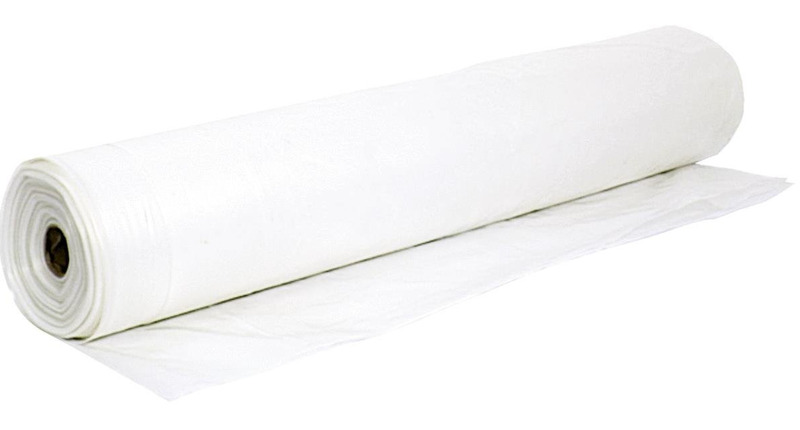 Using a wide roll (we sell up to 40' wide, depending on the size of your room) will allow you to cut one large piece to lay down in your crawl space. If you need to use more than one piece of plastic, overlap all seams two feet and seal with duct tape. Extend the outside edge of the plastic sheeting up the foundation wall at least six inches above the grade. 2. Form a tight seal. Seal the plastic to the foundation wall with construction adhesive. You can also use a pressure-treated nailing strip. The seal will be hidden, so it's okay if it's messy; just ensure the seal is tight. 3. Cap with concrete. Pour two inches of concrete over the poly sheeting to protect it from damage. This will allow access to the area without fear of puncturing the plastic. 4: As an additional step, once the concrete has cured, you may apply an anti-fungal coating such as Fiberlock IAQ 900 which will further moisture proof the area and help to prevent mold.